At Atlas Chiropractic, we have attracted clients from all over Australia and abroad, of all ages, because of our Chiropractors revolutionary, unique focus on Upper Cervical here at our Varsity Lakes chiropractor office. If you are searching for ” Chiropractor Gold Coast “, Atlas Chiropractic has a state of the art chiropractic facility located close to Robina, with specialized equipment and a special focus by our highly experienced and qualified chiropractor on upper cervical chiropractic. That is, we have a special interest in the relationship of the atlas bone, on which the weight of the heavy head is perched, and the cervical spine that supports it. If the atlas is out of relationship to the head, very simply it means the head is not on straight. The head is very heavy, the weight of a bowling ball (on average 5kg), and your entire framework will now compensate. We have come to recognize that an integral part of maintaining health of a human being is to maintain the health of the skeleton, the human framework. If our framework is out of integrity, or, out of balance it will put a stress on the nervous system housed within it. Most of us are fully aware that the nervous system is the master controller and co-ordinates all systems and processes of the body. Any stress on the nervous system altering the flow of information between the brain and the cells that make up the body, allows opportunity for dis-ease and dis-comfort of all kinds to take place. Claudius Galen (130-202 AD) discovered the relationship between the nervous system of the spine and healing. He wrote, “Look to the nervous system as the key to maximum health.” He earned the title ‘Prince of Physicians’ when he relieved the paralysis of the right hand of Eudemas (a prominent Roman scholar) by careful manipulation of his neck. We first invite you to a COMPLEMENTARY CONSULTATION at our office close to Robina on the Gold Coast, where we can further share with you a simple, informative logical explanation of how the body works and how it applies to you. Most people are simply amazed and ask “HOW COME NOBODY TOLD THIS TO ME BEFORE”? We then do a simple atlas exam to see if this applies to you. It is our intention to inform, educate and empower you to a new understanding of what may be taking place so that we can then make an informed decision about your own or your family’s health care that may well change your life. We believe Atlas chiropractic is the most powerful way to begin our healing relationship. This is where we play detective and start collecting all of the relevant information to be able to the make the appropriate decisions for the care of the client. A detailed case history is taken, then a chiropractic exam conducted. X-Rays may be required. The X-rays are very important for the Atlas Chiropractic Program for it allows us to do a line analysis and measure with high accuracy how the atlas is sitting in relationship to the head and the cervical spine. This completes this visit and client makes a booking for the following Report Of Findings. This ROF is very important as it is where the Robina chiropractor, after having pieced together all the findings, now reports these back to the client so they are now totally informed about their condition, what was found, and what the appropriate treatment plan is. 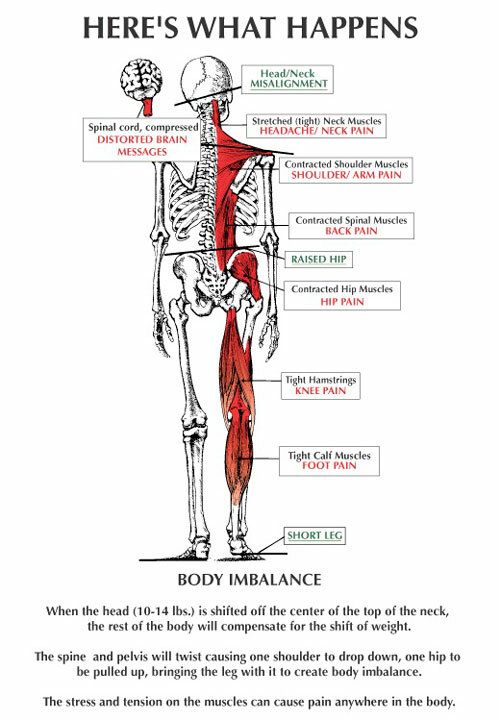 When this is understood we can start the Atlas Chiropractic healing program and the first adjustment is made. 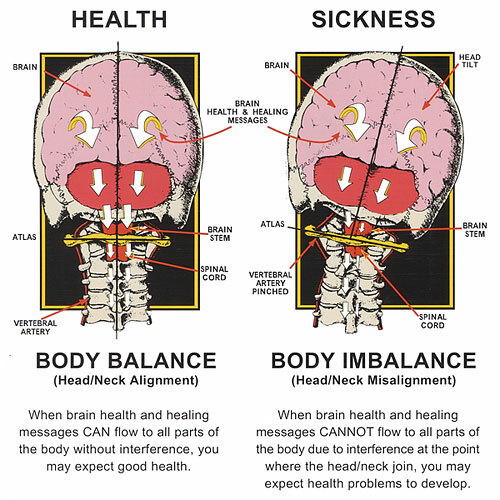 ATLAS ORTHOGONAL is the revolutionary chiropractic technique that is primarily used. It utilizes a specialized table that is setup according to measurements transposed from the x-rays and applies an adjustment with a high degree of precision to the atlas, so gentle that the client rarely feels the adjustment take place. It is common that clients may feel an improvement straight away. Make an appointment with our Gold Coast chiropractor for your complimentary consultation today! Upper Cervical Chiropractic on "The Doctors"
"I believe this integrated system will take its place among the greatest medical breakthroughs of our time"
“As a dentist specializing in TMJ, head, neck and facial pain, I have come to realize the importance of integrating the Atlas Orthogonal Technique in the treatment of patients with structural distortions…"
“I whole-heartedly endorse this diagnostic and treatment method" "As a medical doctor with thirty-five years of clinical experience, I feel that most patients with acute and chronic neck pain or headaches should be considered for Atlas Orthogonal treatment."